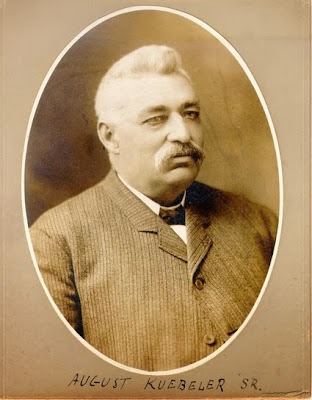 Frank Stang started the Stang Brewing Company. His younger brother John Stang took over as president in 1890. Pictures of John Stang and Jacob Kuebeler appear in the 1895 publication, Men of Sandusky. 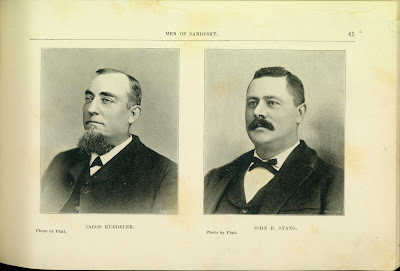 Jacob and August Kuebeler founded the Kuebeler Brewing Company in 1867. About 1885 the Kuebeler brothers both built virtually identical large brick homes on Tiffin Avenue. Mr. and Mrs. Jacob Kuebeler lived at 1318 Tiffin Avenue. (This home no longer stands.) The August Kuebeler residence was built at 1319 Tiffin Avenue, and is still standing today. 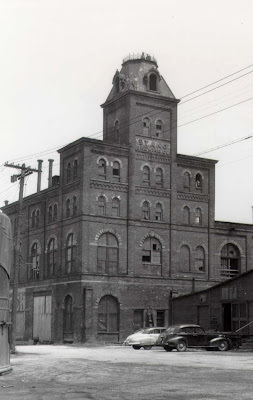 The Kuebeler Brewing Company was on Tiffin Avenue. The Kuebeler & Stang Breweries merged in 1896. 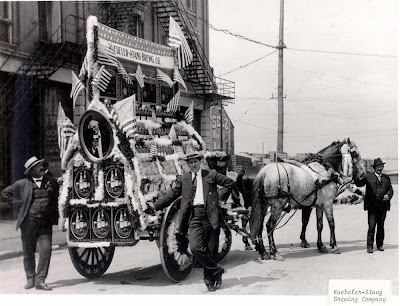 Two years later the Kuebeler-Stang Breweries merged with Cleveland breweries to form the Cleveland and Sandusky Brewing Company. Many breweries closed during Prohibition, but the Stang plant continued doing business as Crystal Rock Products Company, selling soft drinks. The picture below shows a float sponsored by the Kuebeler Stang Brewing Company in the late 1800s. 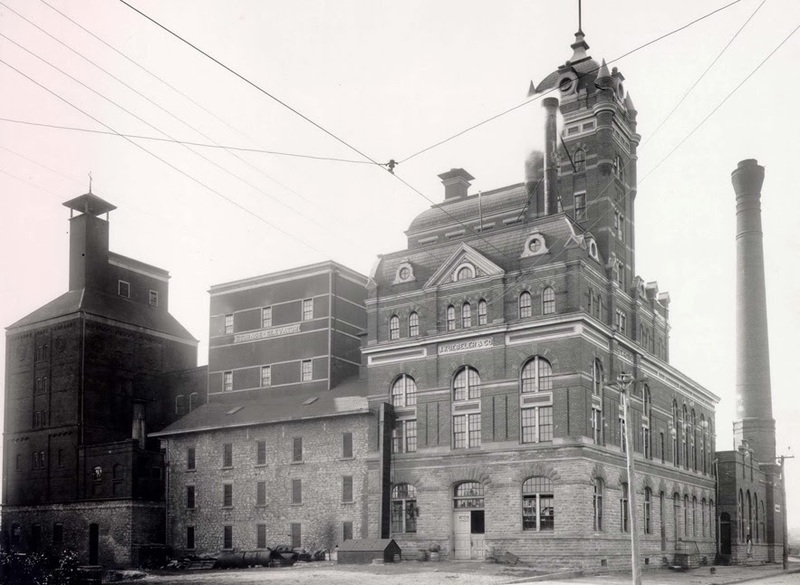 To read more about the Kuebeler and Stang Brewing Companies and other brewing companies, see the book, Brewing Beer in the Buckeye State, by Dr. Robert A. Musson, available for loan through the ClevNet system.